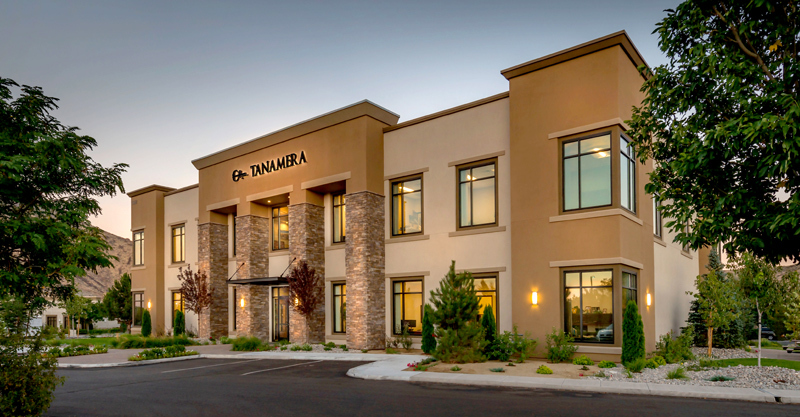 Tanamera specializes in master planned developments and higher end residential and commercial projects in the greater northern Nevada region. 41 years in the real estate business with a Bachelor of Science Degree in Business Administration with concentration in Real Estate and Finance. Mr. Rowe was previously a California commercial real estate broker and a Registered Investment Advisor specializing in apartments and commercial properties. In the early 1980’s Mr. Rowe formed a syndication and development company in northern California that acquired, developed and managed over 3,000 apartment units, several office buildings and a neighborhood shopping center. In 1987 Mr. Rowe became an Institutional Real Estate Advisor representing the California Public Employees Retirement System, the Illinois State Teacher’s Retirement System, Pennsylvania School Employees System and Executive Life Insurance Company, specializing in the acquisition and asset management of institutional grade apartments and commercial properties throughout the Western United States. 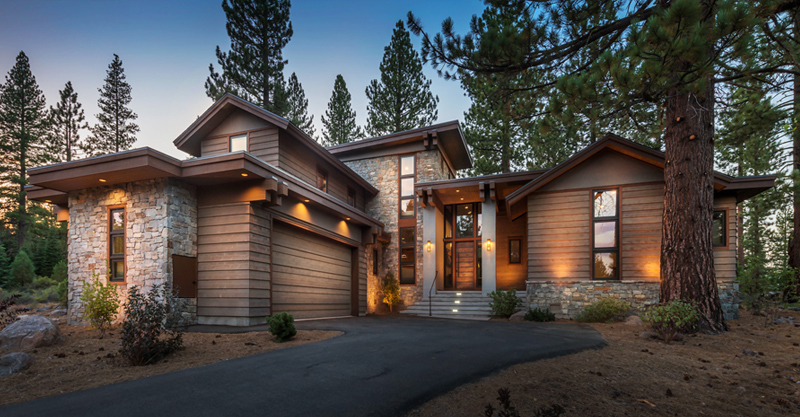 In 1992 Mr. Rowe began the development of residential projects in northern California and in 1995 moved to northern Nevada to acquire and develop the Double Diamond Ranch 800 acre 3,000 home Master Plan Community. Since 1995 Mr. Rowe has founded and managed several development and construction companies located in Reno Nevada that have developed, designed and / or built over $1.35 billion (based on cost) of master planned communities and business parks (12 business parks), office buildings, medical office buildings, hotels, apartments, retail shopping centers, single family production homes & custom homes. 16 years with the Company and its predecessor specializing in the accounting and insurance for development projects and construction projects. Mr. Seabert holds a Bachelor of Science Degree in Business Administration with concentration in Accounting and he is also a Certified Public Accountant. Mr. Seabert oversees and manages all Company back-shop responsibilities including all Company accounting functions, project cost analysis and project pro formas, project insurance, Company and project banking (including the oversight and management of all project loan draws) and all development financing. Prior to joining Tanamera, Mr. Seabert worked for Deloitte and Touche for 5 years and thereafter several gaming companies for another 13 years. 37 years in the construction and development management of residential and commercial site work. Mr. Knudsen is a Partner in Tanamera Construction, LLC and has been with Mr. Rowe for over 21 years overseeing all land development, land entitlement, civil engineering work and the construction of all project utilities, grading, roadways, landscaping, paving, project amenities and the associated approvals required by the local municipalities and utility companies. Mr. Knudsen began his real estate career working for a civil engineering firm and quickly moved into the field of site construction management in the early 1980’s. 28 years in construction management specializing in the construction of apartments and commercial projects. Mr. Hurst holds a Bachelor of Science Degree in Mechanical Engineering and has managed the construction of over 7,000 apartment units including student housing, HUD financed and Tax Credit apartments, high rise apartments and condominiums (up to 11 stories), podium style apartments, wrap style apartments and garden style 2, 3 & 4 story apartments. Mr. Hurst also has extensive experience in the construction management of hotels, large university buildings, large civic centers, college football stadiums and hospitals. Mr. Hurst began his career after college as an assistant superintendent with the JPI apartment development company out of Dallas Texas. Mr. Hurst worked his way up within JPI to manage their entire construction for the JPI Southeast Student Housing Division. 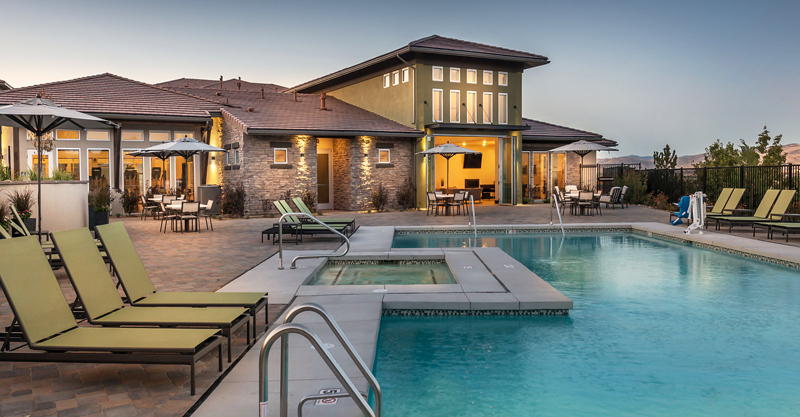 Following the recession from 2012 through early 2017 Mr. Hurst ran the construction of 8 different multifamily housing projects for Construction Enterprises, Inc., a large apartment construction company out of Franklin Tennessee. Mr. Hurst has been with the Company since March of 2017 and oversees and manages all Company construction projects. 9 years in the real estate business, all with Tanamera Construction, LLC. Mr. Rowe holds a Bachelor of Science Degree in Real Estate and Finance with a minor in Economics. Mr. Rowe was the Real Estate Sales Manager and Project Manager for the Company’s production home division during his initial 5 years with the Company and Project Manager for the Company’s Custom Home Division and Multifamily Division for 4 years. Currently Mr. Rowe works with his father and assists in the Company’s client relationship management and communications. Mr. Rowe also assists his father with the Company’s design management services of the various residential and commercial projects and the oversight of the various construction projects. Mr. Rowe’s duties also include the maintenance and coordination of all Company project management software. 14 years of construction management experience, all with the Company and its predecessor. In this capacity Ms. Lorenz oversees and manages all commercial construction and development activities for the Company. Ms. Lorenz has been with the Company for 16 years and works very closely with Mr. Rowe (the Company Founder) as Mr. Rowe’s assistant. In addition to her duties as Commercial Project Manager, Ms. Lorenz also oversees all development escrows and closings for the various Company development projects. 18 years as a purchasing agent for various construction companies in the Reno market including Lennar Homes and Silverwing Development. Ms. Martin has been with the Company for over 3 years and oversees and manages all bidding and purchasing for the Company’s residential and commercial projects. Ms. Nickovich has been in the interior design business for over 6 years and with the Company for 4 years. Ms. Nickovich holds a Bachelor of Science Degree in Interior Design and works with the residential clients of the Company to oversee and manage the interior design work required for the Company’s custom homes, apartment clubhouses and apartment models. Ms. Runnells has provided commercial architectural design work for over 6 years with 4 years in the Bay Area with a large architectural firm. Ms. Runnells has experience in the design of tenant improvements for a variety of office style uses including straight office, medical office and high-tech work environments. Ms. Runnells has been with the Company for over a year and oversees and manages all Company commercial tenant improvement work and interior design work for the Company’s various commercial projects. Ms. Runnels holds a Bachelor of Arts degree in Interior Design and has extensive experience designing tenant improvements for a number of Bay Area office and commercial buildings. Ms. Arguello, has been working on and off with the Company for approximately 5 years and now works full time as the Company’s Controller. Ms. Arguello holds a Bachelor of Science Degree in Accounting and a Master’s of Business Administration Degree and is currently receiving her Certified Public Accountant designation. In addition to her services as the Company Controller, Ms. Arguello also oversees and manages the Company’s accounts payable department and the Company’s HR department. Ms. Williams has worked in the accounting field for over 19 years and has been with the Company and its predecessor for 15 years. Ms. Williams holds a Bachelor of Science Degree in Accounting and oversees many of the Company’s commercial projects along with the numerous development entities owned by the principals of the Company. Ms. Seuss has been with the Company and its predecessor for 14 years and has been active in all aspects of marketing and graphic artwork since joining the Company and its predecessor. Ms. Seuss holds a Bachelor of Science Degree in Industrial Design with a Minor in Graphics Design and works with both residential and commercial clients of the Company to assist with graphic artwork and marketing materials for the various Company projects. Ms. Suess’s duties with the Company also includes the oversight and management of the Company corporate office. Ms. Ellingwood has 25 years of construction management experience in residential, commercial and apartment developments. A former employee of the Irvine Company in Irvine California, Ms. Ellingwood had the opportunity to work on many high-end real estate projects. 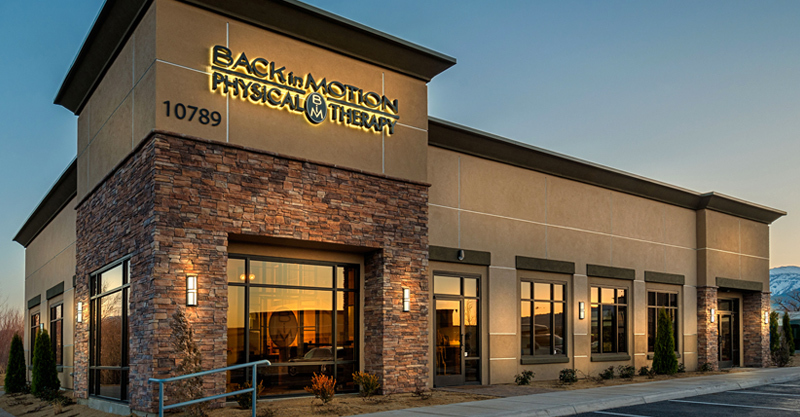 Ms. Ellingwood, previously a licensed general contractor with both the state of Nevada and the state of California, currently oversees the construction management services for the Harvest at Damonte Ranch 278 unit apartment community. Mr. Adams has been in the construction management business for 24 years with the last 8 years specializing in the construction of apartments. Mr. Adams holds a Bachelor of Science Degree in Construction Management and has worked with Joe Hurst for the last 8 years. Mr. Adams currently oversees all construction responsibilities for the Sierra Vista 336-unit apartment community. Ms. Ghiggeri has been in the construction business for 9 years with the last 2 years specializing in the construction of custom homes. Ms. Ghiggeri holds a Bachelor of Science Degree in Chemistry and completed the Residential Design Certificate from TMCC. Ms. Ghiggeri currently oversees several custom home construction projects. © TANAMERA CONSTRUCTION, LLC. ALL RIGHTS RESERVED.